My first visit to Yosemite was in winter. I was in my 20s. I was awed by the frozen waterfalls and the ice clinging to granite cliffs that shone in a fiery glow as the sun set. The boyfriend at the time and I hiked as many snow-covered trails as we could pack into a weekend. Before we left, I begged him to go ice-skating with me. 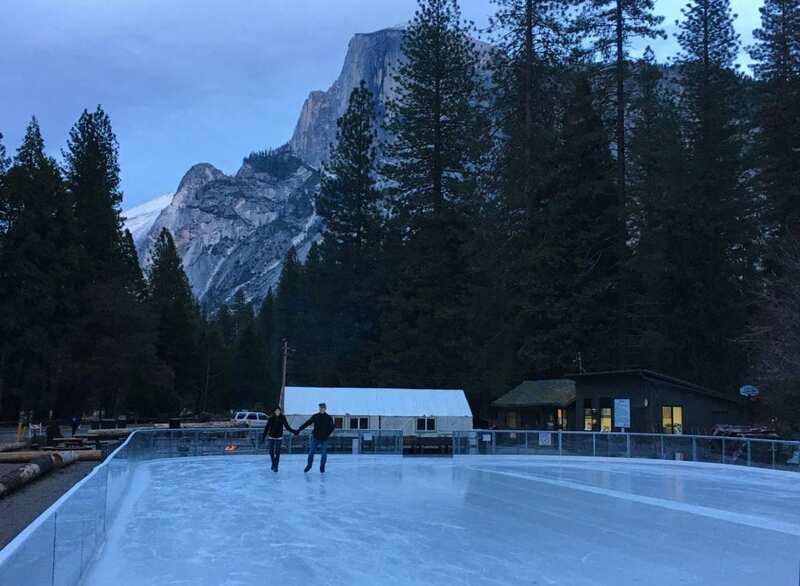 I had discovered the ice rink at Curry Village and was enamored with the idea of skating under Half Dome. The boyfriend was far less enamored. He refused to go. The boyfriend didn’t last, but the desire to skate under Half Dome never went away. 20 years later, I finally got my chance. I was visiting the Gold Rush town of Groveland, which lies just 30 minutes from Yosemite National Park’s Big Oak Flat entrance on Highway 120. While the town is a bit sleepy in the winter, it’s steeped in Old West charm. 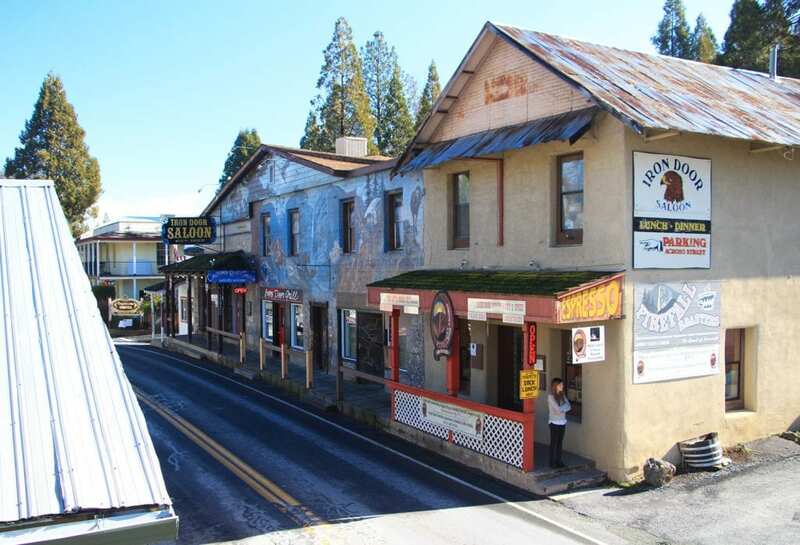 The Iron Door Saloon, which stands at the center of town, has been pouring drinks for gold prospectors, loggers and visitors for over a 150 years. Elk heads loom large on the walls overlooking the wooden bar while crumpled dollar bills hang from the saloon’s cavernous ceiling. Main Street also boasts a handful of restaurants, shops, and historic hotels. 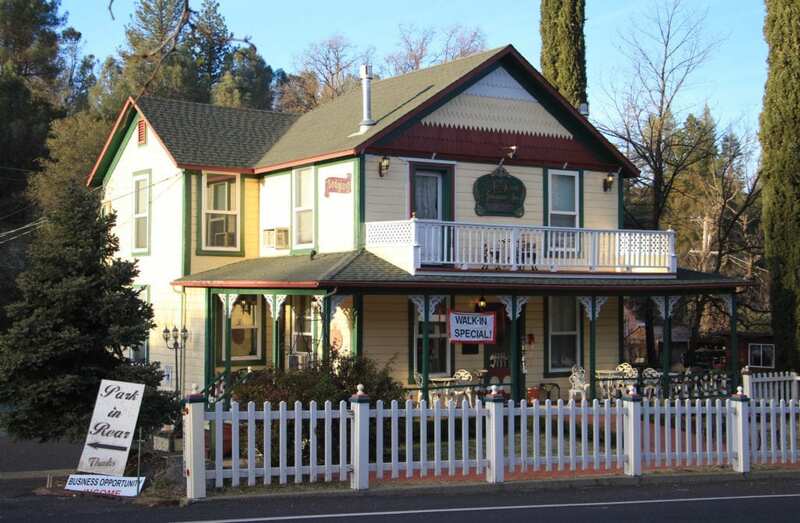 The oldest of the hotels, the Groveland Hotel, was built in 1849 as one of the first permanent structures in town and is listed on the National Register of Historic Places. The handsome adobe building may also be the only example of Monterey Colonial architectural style in the Sierra Nevada. The hotel was purchased last summer by Doug and Jenn Edwards, who have completed extensive renovations and just re-opened the 18-room hotel last week. With a clean, modern aesthetic, the rooms feature platform beds made from distressed wood and topped with all-new memory-foam mattresses and luxurious white linens. 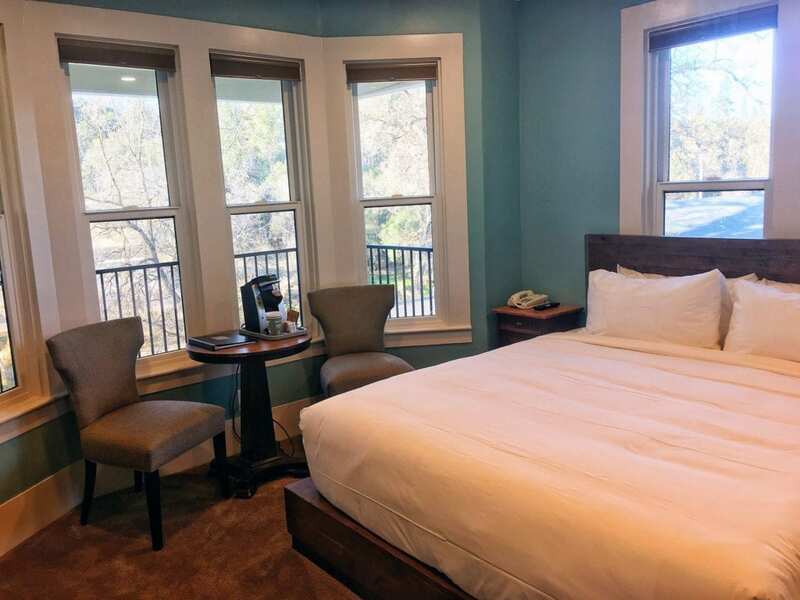 The updates also include branded mirrors made locally by Ranch Revived Décor, all-new lighting with room lights on dimmers, new carpeting, and a refreshed color palette with modern appeal. 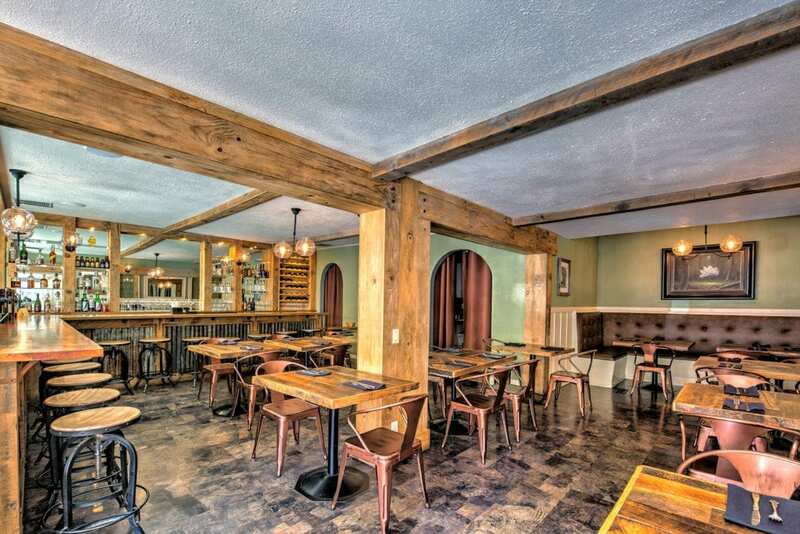 The owners plan to re-open the hotel’s restaurant for breakfast and dinner beginning in April. At the other end of Main Street stands the All Seasons Groveland Inn. 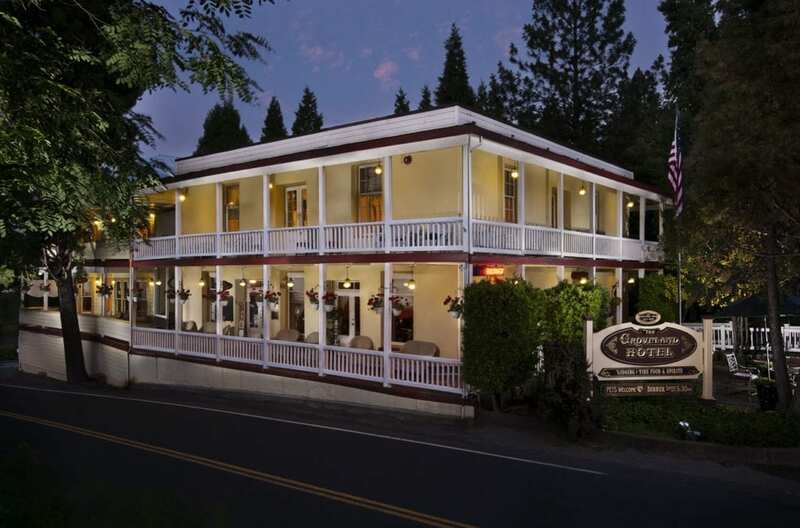 The lovely Victorian was built in 1899 for Margaret Simmons, who had emigrated from Ireland to join her husband during the Gold Rush. She had journeyed around Cape Horn with a steamer trunk that is now displayed on a landing at the top of the stairs. 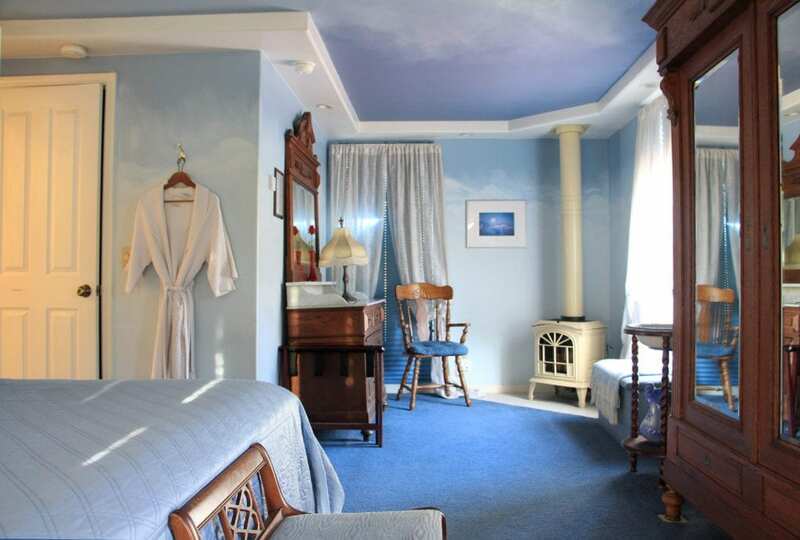 Each of the inn’s five rooms pays homage to Yosemite attractions with painted murals and photographs. All of the rooms feature private baths, cozy robes, gas fireplaces, refrigerators, coffeemakers, televisions, and complimentary Wi-Fi. Four of the rooms feature Jacuzzi spa tubs while the fifth room, the Emerald Room, has a steam shower. Two of the rooms, Eagle’s Tower and Cloud’s Rest offer private balconies. 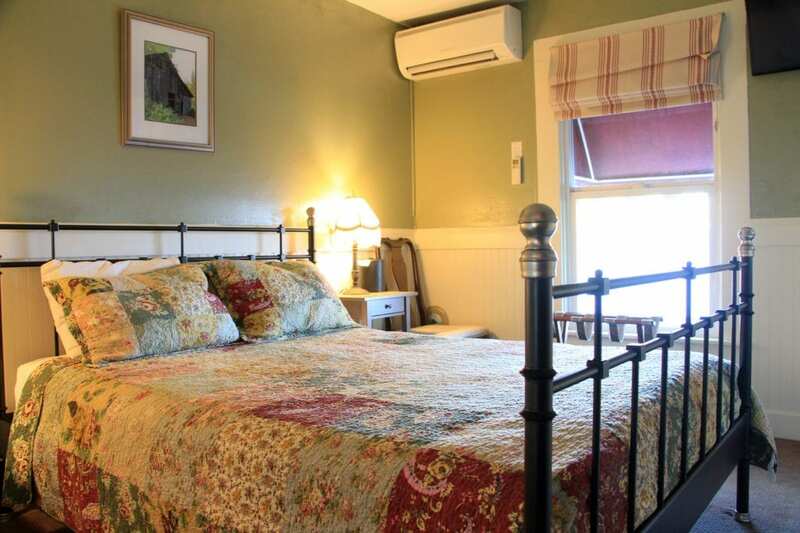 The innkeepers provide a simple to-go breakfast each day with yogurt, fruit and a granola bar. I stayed at the Hotel Charlotte, which is owned by the same owners as the Groveland Hotel. 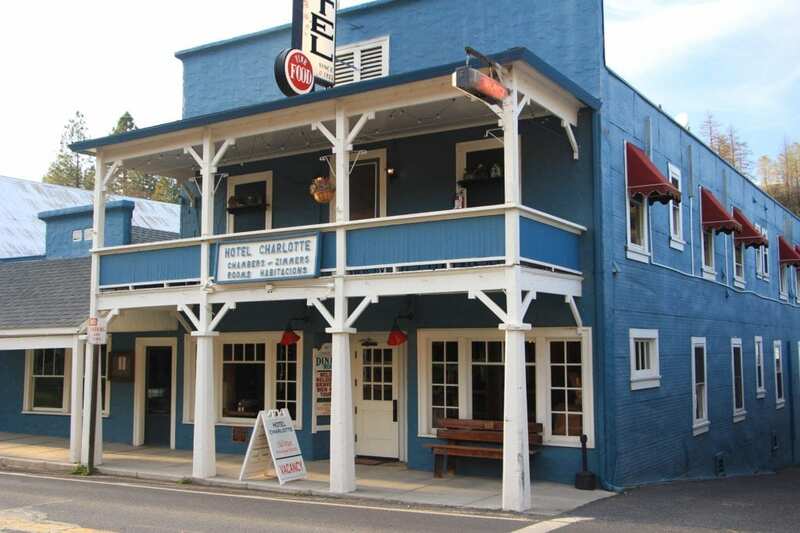 Built in 1921 in a classic Western style, the Hotel Charlotte offers 15 tidy rooms that blend modern amenities and colors with cozy touches. I stayed in Room 9, which featured a queen bed covered in a beautiful quilt and simple bedside tables topped with Victorian fringed lamps. The walls were painted in a soothing sage green color that drew out the colors in the quilt and contrasted with the white wainscoting. The bath was painted a bluish gray and featured an inviting clawfoot tub. The rooms also feature individually controlled heating and air conditioning units, televisions, and complimentary Wi-Fi. The hotel’s second floor balcony overlooks Main Street and offers tables and chairs for lounging. Downstairs, the Charlotte Bistro and Bar serves up an eclectic menu of made-from-scratch seasonal dishes paired with local brews, craft cocktails and wines. After breakfast the first morning of my stay, I drove straight to ice rink in Yosemite’s Curry Village. The concessionaire’s sign said the rink would open at 1:00 p.m. I sighed. I was several hours too early, but this being Yosemite, I had no shortage of things to do. I packed a bag with water and snacks and set off on the Mist Trail for Vernal Falls. I noted the empty campgrounds, the nearly empty parking lots, and the lack of tour buses and remembered what had been so exhilarating about visiting Yosemite in the winter: the lack of crowds. A hushed quiet enveloped the trail as I made my way further along. Granite cliffs rimmed with snow rose all around me while the Merced River rushed and spilled over the boulders below me. And with just a few exceptions, I had it all to myself. When I returned to Curry Village, daylight was beginning to fade and a Zamboni was driving in circles on the ice. I paid my admission, sat by the fire pit, and laced up my skates. I grabbed a cup of hot chocolate while waiting with a half dozen other skaters for the Zamboni to finish. Finally, they re-opened the rink. The other skaters glided off while I gingerly slid out onto the ice. I tried to remember the last time I had been on ice skates. A decade maybe? I was distinctly aware of how cold and hard the ice would be if I fell. I stayed close to the rail. I made it to the far end of the rink and began making the turn. That’s when I caught sight of it: Half Dome soaring high above the valley floor at dusk. The sight made me giddy. I found a bit more confidence on the ice. I made circles around the rink and watched as Half Dome became a dark silhouette against an indigo blue sky. Then eventually, even Half Dome disappeared into the night.